The activist investor said in a filing with the Securities and Exchange Commission that he wants representation on Caesars’ board and for the company to refrain from immediately appointing a new CEO. Caesars’ stock is undervalued and the best way to boost it would be to sell the company, Icahn’s filing states. Shares of the Las Vegas-based company jumped more than 5 percent Tuesday. “We believe that our brand of activism is well suited to the situation at Caesars, which requires new thought, new leadership and new strategies,” the filing adds. Icahn intends to continue talks with Caesar’s board of directors and management, and if necessary, he may nominate a slate of directors at the company’s annual shareholders meeting, according to the filing. He also wants CEO Mark Frissora out. Caesars emerged from an $18 billion bankruptcy in late 2017. Icahn’s move comes after the casino operator was approached by at least two companies. The Wall Street Journal last week reported an official with Eldorado Resorts Inc. also “made a preliminary approach” over the past several months. Caesars did not immediately respond to a request for comment on the filing. It is scheduled to report its fourth-quarter results Thursday. Its stock ended up 47 cents to $9.62 on Tuesday and is up almost 42 percent so far this year. But it’s still down 27 percent in past 12 months. 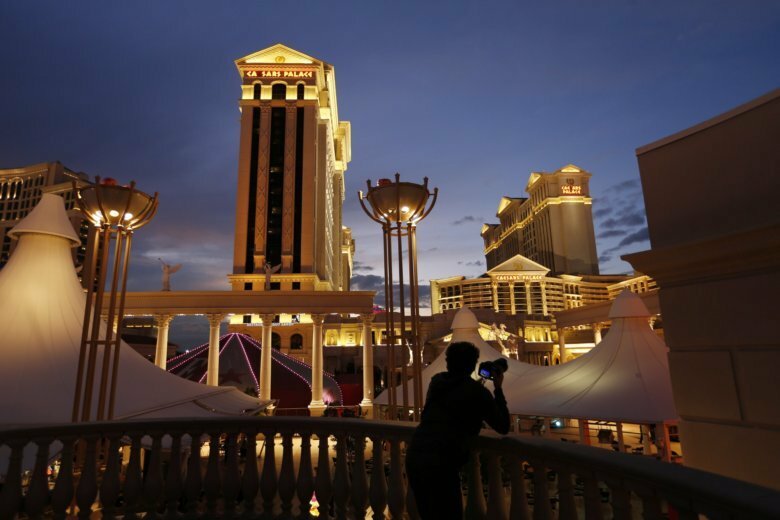 Analysts at J.P.Morgan in a note to investors said they do not see an obvious suitor that could or would take Caesars’ entire portfolio of assets, including the nine properties on the Las Vegas Strip. They pointed to MGM Resorts International as the “most obvious potential acquirer,” but said that company has been clear about giving priority to its current projects. Alex Bumazhny, gambling analyst with Fitch Ratings, told The Associated Press Icahn “has a good track record” in the gambling sector. Icahn last year sold his Tropicana Entertainment casino company for $1.85 billion. David Katz, equity analyst at Jefferies, said there are things Caesars could do to capture a better value for its stock that do not involve selling itself, including sharing expectations more effectively. He said Caesars’ “value story” has not been told effectively since the company emerged from bankruptcy.